Put simply, fire alarms often make the difference between life and death. It is imperative that your family or your employees are given advanced warning of a spreading fire and enough opportunity to safely leave the building. We provide specialist fire alarm installation services that make sure that you and your family or employees are kept safe from the possibility of fire. With advanced warning, everyone will be able to have enough time to leave the building. Not just that; having a fire alarm fitted in your property is becoming a requirement under current UK building regulations. Get specialists to professionally fit and test your fire alarms. Our expert team provide properties with professional fire alarm installation services that create a safe home and working environment. Keep your family or employees safe from the threat of fire and adhere to building regulations in the process by receiving a new fire alarm installation. You are assured of only the highest quality fire alarms that will give everyone inside the property a long enough warning of a possible fire outbreak. 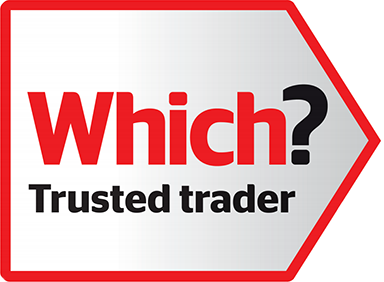 Call the experts at Q-Tec today on 01622 809111 to arrange your free survey and no obligation quotation with one of our friendly engineers. We source the highest quality fire alarms from the world’s biggest manufacturers. Our relationships with these suppliers mean that you get the very best fire alarms protecting your domestic or commercial property for a very reasonable and budget-friendly price. We provide a quality service, all of which is completed by our professionals. From just sources the materials and devices you need to the fire alarm installation itself; we provide the necessary services to keep you and your family or employees safe. As property security specialists, we have access to a wide variety of fire alarms. Ranging from conventional fire alarm panels that are ideal for smaller retail and domestic properties to addressable systems that pinpoint the origin of detection quickly and wireless detection systems, we have everything you need to effectively protect both your property and the people inside it. We provide the fire alarm installation, structured cabling and security systems to a range of domestic and commercial properties to make sure that the people within those properties are more safe from possible threats. Every fire alarm system we install is fitted by our experienced and dedicated engineers. Working for a variety of clients throughout London, Kent and the Home Counties, our engineers guarantee absolute quality in terms of installation, reliability and effectiveness. Based in Maidstone, we provide domestic and commercial clients from across Kent, London and the Home Counties with the very best fire alarms. Many of our recent fire alarm installation projects have been for clients in Orpington, Stevenage, Tonbridge, St Albans, Dartford, Ashford, Sevenoaks, Canterbury, Maidstone, Westminster, Medway, Fulham, Islington, Barnet, Lewisham, Colchester, Reigate, Tunbridge Wells, Milton Keynes, Chelmsford, Brighton, Portsmouth, Hastings, Bromley, Croydon and London. For more information about our high quality fire alarm system installations, please do not hesitate to contact one of our helpful and friendly team today.